As a bus wife and mother, I am not only in charge of taking care of the kiddos and cleaning the house and running errands, but paying bills and keeping all the receipts and paperwork current, organized, and up to date. This is quite an important job, and I pride myself on how organized I am. A couple years ago, I purchased a file tote at a local store. I set about organizing the whole thing, labeling each file pocket, and putting each receipt and piece of paperwork where it "belonged." Fast forward to recently....that file tote has seen it's share of use, and crapped out on me. The file pockets were ripping, the clip that kept the whole tote shut broke (probably because I slightly overdid it and PACKED it full.) 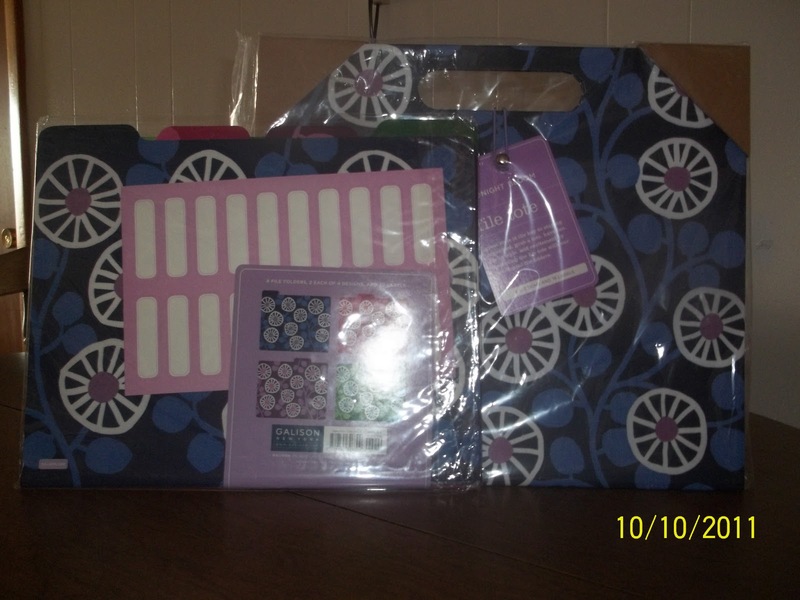 I was looking for a new file tote, perhaps something of slightly better quality since the one I got was a tad cheap. "Mudpuppy Press was launched in 1992. From an early specialization in puzzles, we expanded to our current award-winning offering of puzzles, journals, diaries, educational games, toys, and stationery gifts for children and the young at heart. Although we use a lot of fresh, contemporary designs, we maintain a core group of products using fine art images, and both Galison and Mudpuppy products are popular in museum stores. 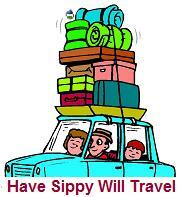 Our fine art stationery is also found in the best gift, stationery, book, and department stores." Mudpuppy has so many unique and useful products, I found it hard to choose just one favorite! 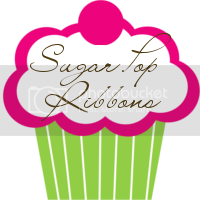 With my urge to organize, I was like a kid in a candy store at this website! 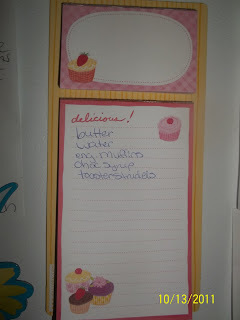 With constant grocery shopping going on in our household, a shopping list is a must, and something convenient that I can add to regularly is also important for ease of use. 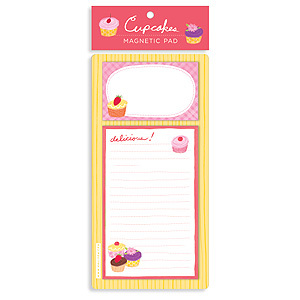 For this task, I received the cupcake magnetic notepad for review. Let me just say, I LOVE this notepad! It's magnetic on the back, so it sticks right to my refrigerator, so it's always easy to get to whenever I need to add something to the weekly grocery list. Now that I have that issue resolved, I turned my attention back to the original task...finding a new file tote organizer! That was not a difficult task at Mudpuppy though! 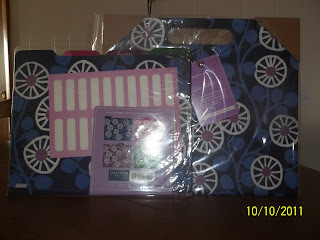 Along with the cupcake notepad, I also received the Midnight Bloom file tote for review. I'm always hesitant on ordering new things online, since I can't hold them in my hands and try them out and see the item and all it's perks in person, so I was hesitant about this file tote. But when I got it, I knew I was going to love it before it was even out of the package! First off, I LOVE the design! It's definitely "me." I set right to work labeling the file folders, and putting them in the tote, and then putting the proper paperwork where it needed to go. I only keep the very important items in this tote, such as our rental lease and any correspondence from our landlord, our receipts for paying on our van, any paperwork having to do with the kids' daycare, paperwork from school for me, and Frank's work pay stubs. I love how much more organized this tote is than my last one, and that I can have separate, labeled folders and it's not over stuffed like my other one was. Any other paperwork not having to do with the things listed above, or owner's manuals for various products we have, go in a separate file tote that isn't as nice as this one. ;-) I love this tote so much, I want to keep it in excellent condition and not over pack it or anything. It looks very professional, and just glancing at it sitting in our house, you wouldn't know it's a file tote. I would even cart this around with me in public if I wanted or had to, because it's so stylish and it's light to carry, too of course. BUY IT: Buy these and an array of other products today at www.galison.com or www.mudpuppy.com! 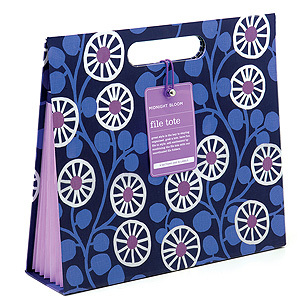 WIN IT: One VERY LUCKY reader of Mama 2 Multiples will win the same file tote and file folders as the one seen here! Enter using the Rafflecopter form below, following the instructions as they are listed!